What is a ‘first look’ on a wedding day you’re asking?! If I could describe it in just one word it would be ‘romantic’ but I guess that doesn’t quite explain enough! Read ahead and find out what exactly a first look on your wedding day is and whether it’s for you. A ‘first look’ takes away the onlookers and makes it a personal and more intimate moment for the couple. Before I even begin to explain what ‘the first look’ is, let me say we love ‘first looks’ and yes, I’ve been known to cry whilst photographing them! Traditionally a groom will see his bride for the first time when she walks down the aisle of a church or walks into the ceremony venue and typically that ceremony venue is filled with friends and family eagerly watching and waiting to see the bride and, in turn, the groom’s reaction. We find that one of the most stressful times of the wedding day for the bride and groom is the ceremony. Being in front of so many people can be daunting, even if those people are their closest friends and family! 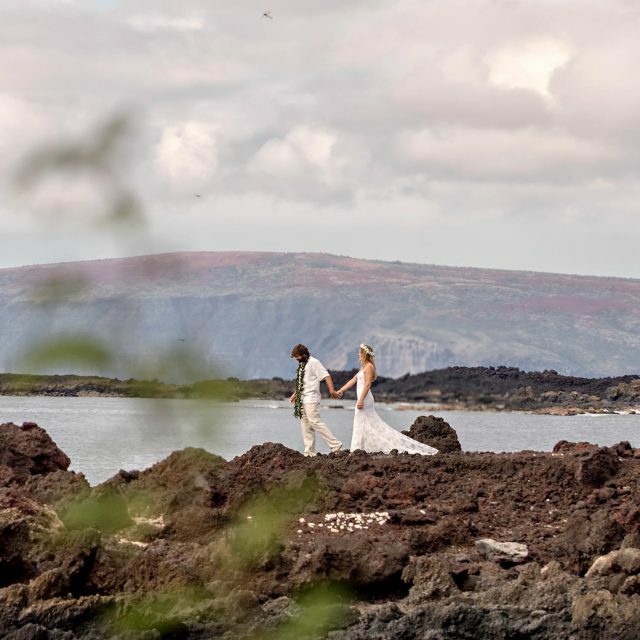 Picture a groom on his wedding day on our beautiful Hawaiian island. He is waiting patiently under a swaying palm tree and looking out to the calm blue ocean caressing the horizon. A radiant bride approaches and taps him on the shoulder. He looks around and for what seems like minutes he stops breathing as he is mesmerized by the beauty of the woman he loves and is soon to marry. He holds her hand and twirls her around, adoring the woman before him as he takes in every little detail… the quirky smile he knows so well, the loving gaze of her eyes on him, the scent of her familiar perfume and the elegant dress of her dreams. In those precious moments he is capturing every inch of her in his memory. There may be a few tears but there are definitely kisses and embraces! All the while, we are in the background photographing this tear-jerker of a ‘first look’. The bride and groom have forgotten we are there but we have captured some of the most memorable and natural images of the wedding day. 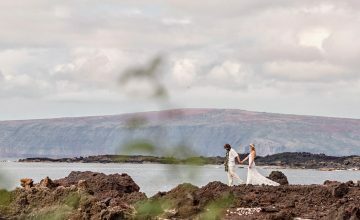 The ‘first look’, before all the guests start arriving, is also an excellent time for you to spend a little while with us photographing your romantic wedding portraits. None of your guests are around yet and it is a perfect moment for you and your partner to enjoy some time together to celebrate your happiness and excitement. This is an ideal opportunity for us to photograph some beautiful, timeless portraits of the two of you before the wedding is in full swing. It is also a great idea for the wedding party to meet with the bride and groom and have some group shots taken. This will allow you more time with your guests later in the day. When it comes to the ‘second look’ at the ceremony venue, trust us, the groom is still just as thrilled to see his bride walking towards him as he would have been had they chosen to go with tradition. We appreciate that the ‘first look’ is not for everyone but should you decide on having a ‘first look’ we understand that wedding timelines are important. 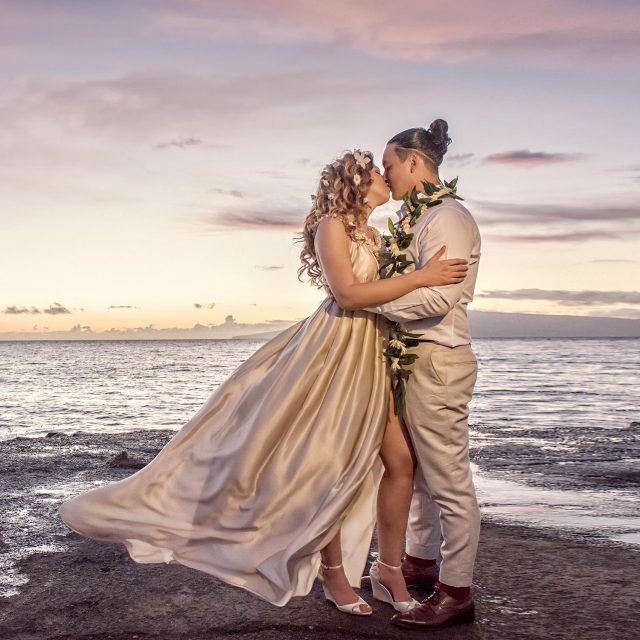 We make sure to assist you wth your wedding day schedule so you have ample time to get back to your room to freshen up and prepare for the ceremony. Let us know if first look photography is something you are considering on your wedding day and we can discuss this with you further.